This project made me think about my lovely mum, who I don’t get to see enough (too many miles). When my older brother was a toddler, she decided to make him some pajamas, but got confused sewing the front and back pants pieces together and ended up with “one big leg”, and had to unpick and resew. 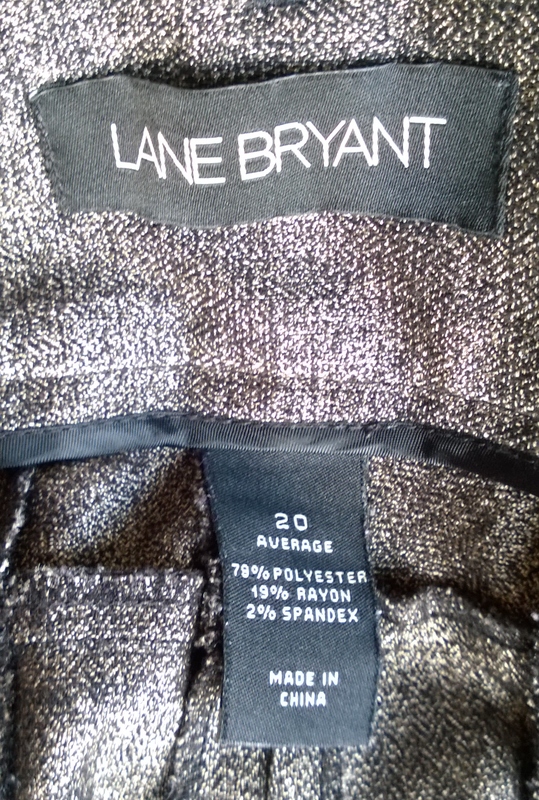 Anyway, this project is kind of the reverse – I started with pants, and ended with one big leg, aka A SKIRT! I saw these tweedy pants at Goodwill, and was relieved to find they were too big for me (for once!). This meant I would have some extra width to play with, and not have to add side panels, making it a nice quick recycling project **. ** Well, I’ve certainly got a short memory! During the time it took me to snap the before photos, I forgot the pants were plenty big enough around waist/hip. I had it in my mind I was adding panels (as in – Wearing My son’s Clothes. So, I went ahead and cut the bottom half of the legs off, making the skirt shorter and the sewing job longer than needs be! Aaaghh, I shouldn’t be trusted with shears! I cut both inside leg seams open. 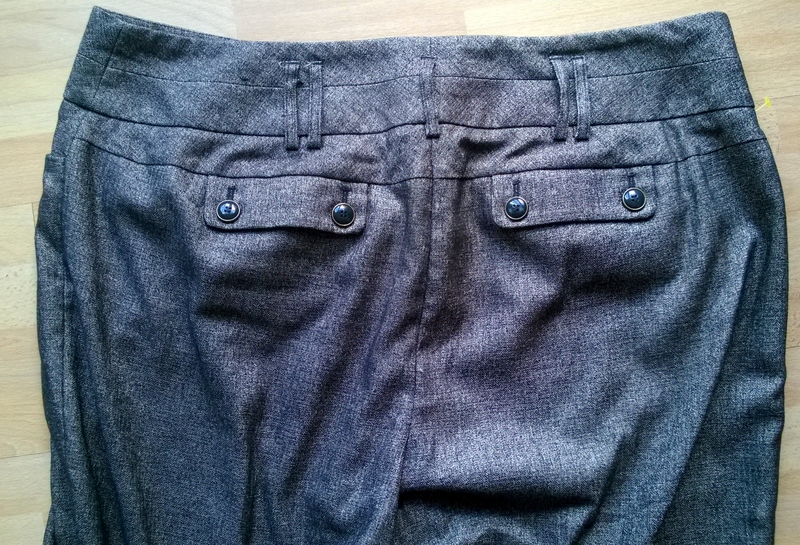 These pants had nice, wide legs, so I was able to make pretty good vertical front and back seams without getting odd, off-grain twisting. Yay, one big leg already! Once that was done, I unpicked the centre back belt loop, and took out some excess fabric. Then I took in each side seam, until it fitted me. I opened up the seams, and used the fabric to add some length. Then, to cover the (impatiently stitched) seam, I sewed black grosgrain ribbon over the top. Great, another thrift store makeover – $5.99 well spent! 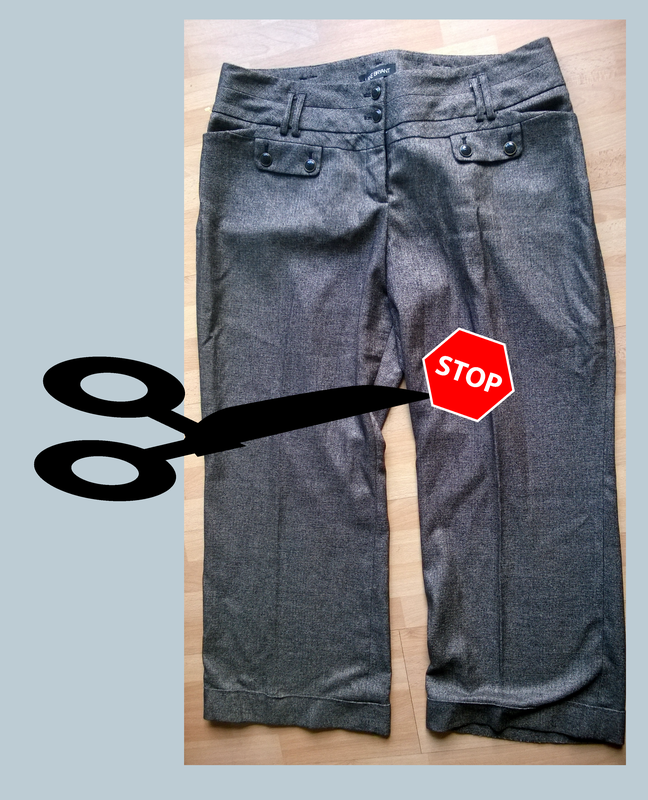 Posted in Uncategorized and tagged pants to skirt upcycle. Bookmark the permalink.